Why Focus on Strength for Athletes? 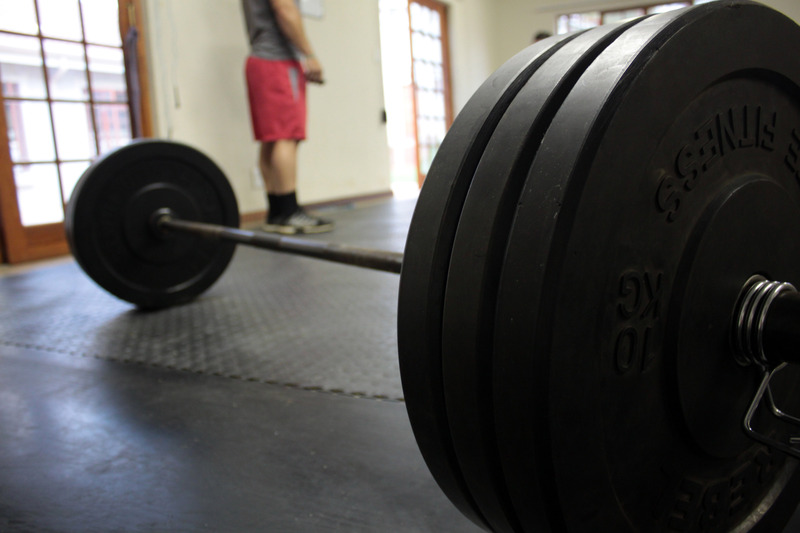 Question: Why should strength be the primary focus of an athlete’s training program? It’s not to say that none of the qualities are important for an athlete. In fact, an athlete should be sufficient in speed, endurance, etc. if they want to actually to be in competitive in their sport. So why wouldn’t those physical attributes take the pedestal in an athlete’s training program? Well, if athletes had all the time in the world to train, eat, and sleep, then without a doubt, their training programs would hammer away at each of these athletic facets. But that’s not the case – most athletes have to go to school Monday through Friday, take care of homework & studying, sometimes work a job part-time, AND be able to sleep for 7-8 hours. At the end of the day, they need to find the time to train around all of these requirements, and let me tell you – this isn’t a lot of time left over for training. So we as coaches & parents need to make sure our athletes are making the best use of their time when going to the gym to train. Whatever training covers the most bases needs to take priority, and that’s strength. Strength is the ONLY physical attribute to improve all of the others. Seriously – almost all the time, a stronger athlete is going to be faster, more powerful, more agile, and have more endurance than a weaker one. And it’s pretty easy to understand why this is the case. Strength is the ability to produce force with a muscular contraction, right? – Endurance is the ability to produce a specific level of force over a period of time. – Power is the ability to produce force quickly (more specifically, it’s a measure of force times velocity). – Speed is how quickly an object moves from A to B, e.g. velocity. Because all objects have mass, they require force to move at any speed. When we think of “speed” in terms of sports, whether it be sprinting or pitching a ball, we’re actually thinking of “power“. – Agility is the ability to change the body’s position efficiently. Bodily movement requires force to happen. Well, if by getting stronger, an athlete is able to increase how much force they can produce, that means they can more easily produce force when it is required for endurance, speed/power, & agility. And the inverse is NOT true. Becoming faster & more powerful alone doesn’t increase strength or force production. Becoming more agile doesn’t increase strength or force production. Becoming agile doesn’t increase strength or force production. So if your kid wanted to become a much better athlete within the constraints of normal life (meaning, they have to deal with school, work, and a social life, too), strength is numero uno. And if you’re child is looking to become stronger, faster, & more athletic, then we invite him or her to try out a free trial workout in our Athlete Performance Program. Hundreds of middle school & high school athletes have entered our doors over the years, with many of them committing to different colleges for sports by the time they’re done with high school. Want to learn more & to redeem your child’s free workout? If so, click here, and one of our coaches will give you a call & give you all the details.